A veteran Washington, D.C. Metro Transit officer is accused of supporting the ISIS terrorist group, according to federal prosecutors. Nicholas Young, 36, of Fairfax, Va. was arrested at the Metropolitan Police Headquarters on the morning of Aug. 3 and was charged with “attempting to provide material support to [ISIS],” the Department of Justice said in a statement. “Obviously, the allegations in this case are profoundly disturbing. 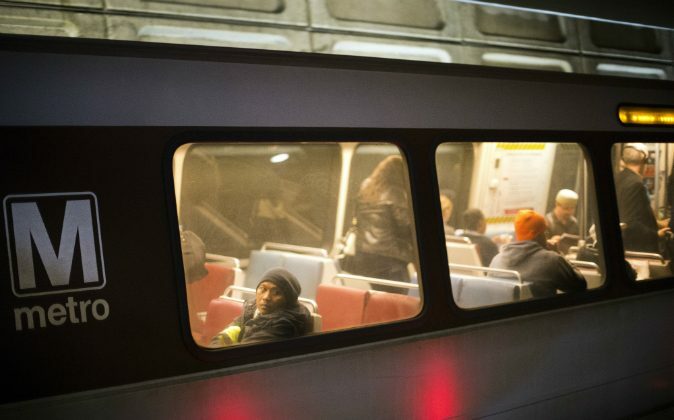 They’re disturbing to me, and they’re disturbing to everyone who wears the uniform,” Metro General Manager Paul J. Wiedefeld said in a statement, reported the Washington Post. Young has been on the MTPD since 2003 and was first interviewed by the FBI in 2010 in connection with an acquaintance “who had been arrested and subsequently pleaded guilty” on terror charges, the Justice Department said. In an undercover sting operation, the officer was heard talking about killing FBI agents, and in 2011, he traveled to Libya to fight with rebels against strongman Muammar Gaddafi,. He also offered advice to suspected ISIS followers on how to travel to Syria, the statement said. Under the impression that the person traveled over to Syria, Young “allegedly complied with a request to purchase gift cards for mobile messaging accounts used in Islamic State recruiting. The codes, worth $245 according to authorities, were redeemed by the FBI,” reported the Washington Post. Young also acknowledged he was being watched by the FBI, allegedly telling an agent that “unfortunately I have enough flags on my name that I can’t even buy a plane ticket without little alerts ending up in someone’s hands” when he was asked about sending money overseas last year, the newspaper said. He expressed methods on how to avoid detection, including avoiding social media use and removing the battery from his cell phone. Young also shared—to both undercover agents and federal agents—that he once dressed up as ISIS executioner “Jihadi John” and killed animals when he was a child. He also apparently collected Nazi memorabilia, the Post said. According to the indictment, Young had an arsenal of weapons, including an Egyptian AK-47, a Kimber 1911 .45 caliber pistol, an AK-47 AMD rifle, and others. He also made threats to Trey parker and Matt stone, the creators of “South Park,” the Post reported. Young was familiar with both Zachary Chesser and Amine El Khalifi—considered homegrown terrorists by the FBI. In 2010, Chesser attempted to join an al-Qaeda linked terrorist group in Somalia was sentenced to 25 years in prison after pleading guilty to assisting terrorists the following year. In 2012, El Khalifi was sentenced to 30 years in prison for plotting to bomb the U.S. Capitol building. Young’s employment at the Metro police department was “terminated” after he was arrested, according to a memo.